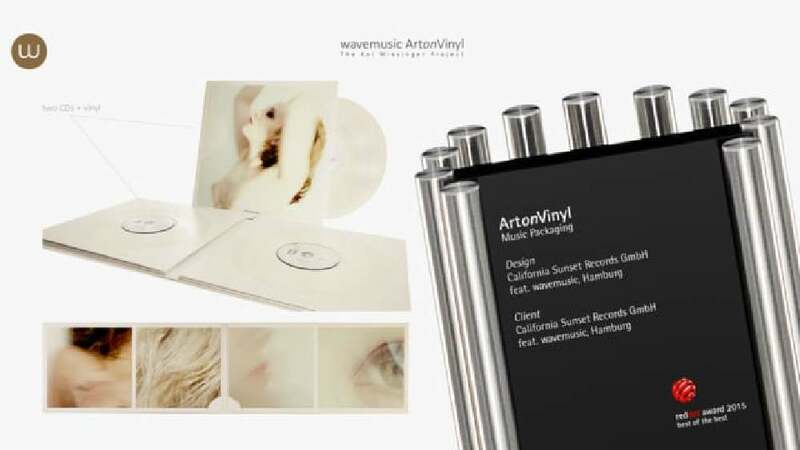 ArtonVinyl merges vinyl, CD, sensuous photography and innovative packaging art into a special musical experience. Created in collaboration with the German actor Kai Wiesinger, the collector’s edition wavemusic Volume 20 appeals to the senses of seeing and feeling – through the packaging, which aims at setting the mood for the music. The 8-page hardback mediabook, with its generous 36 x 36 cm format, includes two CDs, a 180-gram vinyl record and a high-quality 24-page booklet. The premium finish and high quality of the paper embraces the vinyl with a stimulating look and feel. The two CDs are embedded in two spot-coated vinyl imitations and symbolise legendary record labels such as Motown or Decca. Angular millings for holding the CDs, booklet and record as well as a sophisticated vinyl mounting facilitate an exposed presentation of the vinyl record. Kept in bright tones, the colouring underlines the exclusive character of the limited edition of 1,000 copies. The ArtonVinyl edition stands out not only with the consistent, aesthetic quality of its carefully matched individual elements, but particularly with the high printing quality of the entire edition that invites to look at it and touch it. The design of the packaging thus embeds the selected music tracks into an overall piece of art that is sensuously crafted to the last detail.